From the rise of artificial intelligence to the future of water, Arizona State University faculty and students discussed a slew of science topics at the annual meeting of the American Association for the Advancement of Science (AAAS). 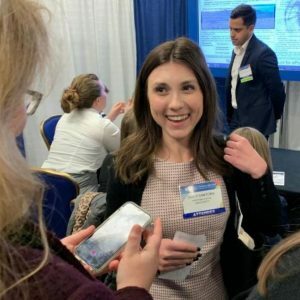 AAAS is the world’s largest science and technology society, and its annual meeting (held Feb. 14–17 in Washington, D.C.) draws thousands of scientists, engineers, educators, policymakers and journalists from around the world. At the AAAS meeting, School of Sustainability researcher Veronica Horvath addressed the future of the American West’s most precious resource, water. Horvath, an Arizona State University Master of Science in sustainability student and Decision Center for a Desert City research assistant, is a first-place awardee of the 2018 Central Arizona Project Award for outstanding water research. 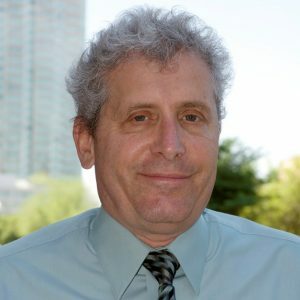 Ray Quay, a senior sustainability scientist in the Julie Ann Wrigley Global Institute of Sustainability at Arizona State University, was awarded the 2019 William R. and June Dale Prize for Excellence in Urban and Regional Planning. This year's award theme was "From Blueprint to Resilience: Planning when Change is the Norm," and Quay was the practitioner prize winner in honor of his decades of work in the arena of urban and regional planning for a rapidly-changing world. Quay is also the director of stakeholder relations and a research professional for ASU's Decision Center for a Desert City. Read more about his work on the prize website. 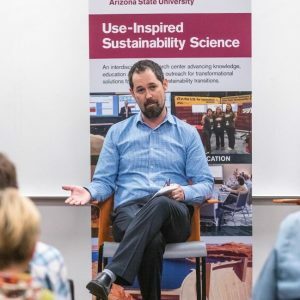 On December 5, Arizona State University’s Decision Center for a Desert City, a unit of the Julie Ann Wrigley Global Institute of Sustainability, hosted a panel discussion called "Innovative Stormwater Management: Resilience for Extreme Weather." Directing more stormwater toward permeable surfaces so it trickles down into the aquifers beneath the city and catching more in rain barrels at homes were some of the ideas discussed. 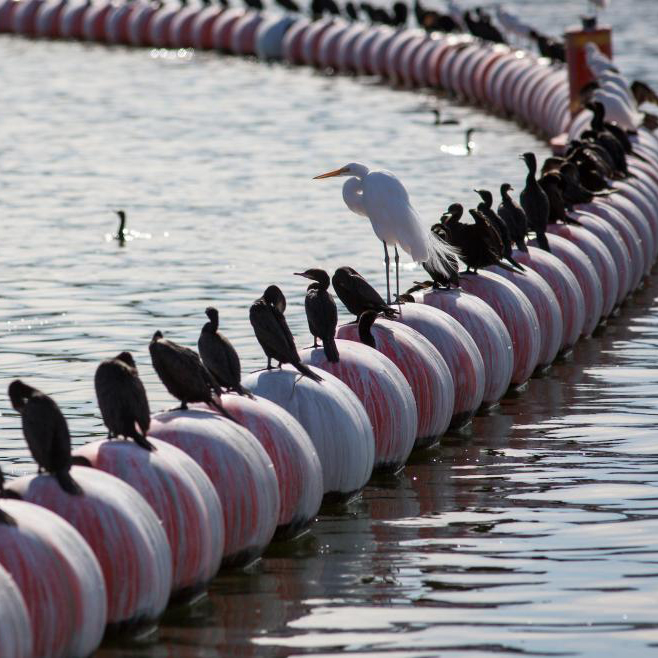 Multipurpose installations that collect water and can also be used as an amenity, like a park, or that protect from flooding while directing water towards aquifers are high on planners’ radars. The discussion was part of the center’s Water/Climate Briefings, held on a regular basis. These briefings are a regular forum for the water-policy community, DCDC researchers and students to exchange knowledge and ideas. 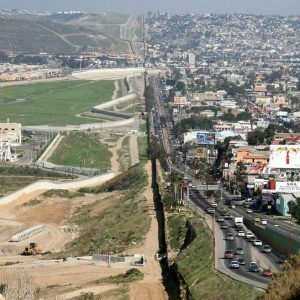 Mexican border cities like Ciudad Juarez and Tijuana ballooning as thousands streamed north to work in maquiladora factories, assembling products like garage door openers to be sold in the U.S. and Canada. Farmland around American cities morphing into suburbs. 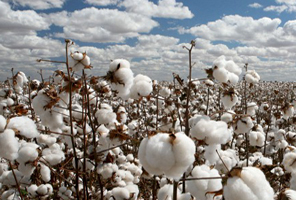 Mexican land being turned into agricultural fields. What would not be visible from the air is the depletion of Mexican groundwater to grow the fruits and vegetables sent north. 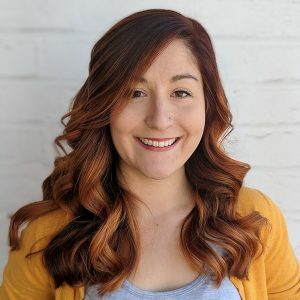 Veronica Horvath, an Arizona State University Master of Science in sustainability student and Decision Center for a Desert City research assistant, is a first place awardee of the 2018 Central Arizona Project Award for outstanding water research. This is the first time a DCDC research assistant has won this award. Horvath presented her work at the Arizona Hydrological Society's annual symposium on September 21 alongside several ASU sustainability scientists who research water. Horvath answered a few questions for us about her research and experience at ASU. 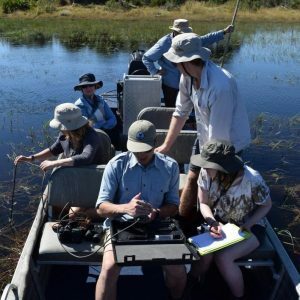 Six Arizona State University students spent 10 days in the Okavango Delta in Botswana, one of the most remote places on Earth, studying a critically important ecosystem with some of the top experts in the world. The point was to look at one of the world’s last unspoiled aquatic environments from an interdisciplinary perspective, according to sustainability scientist Dave White, a professor in the School of Community Resources and Development, who was the ASU professor on the trip. 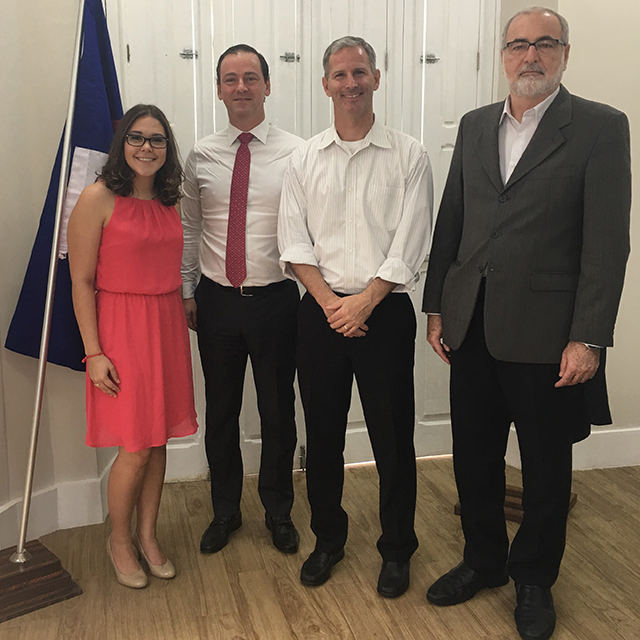 The other experts were professors from KCL and UNSW, who were experts in aquatic ecosystems, and Claire McWilliams, an instructor in tourism the School of Community Resources and Development. Beginning this summer, members of 12 rural communities throughout Arizona will get the chance to explore the past, present and future of water’s environmental and cultural impact in Arizona and beyond when the Smithsonian Institution's traveling exhibit Water/Ways visits their town. The first location to see Water/Ways is the Bisbee Mining and Historical Museum between June 2 and July 15. “Partnering with the Smithsonian on this project gave us an opportunity to expand the scope and impact of the work being done at the Decision Center for a Desert City to well beyond Phoenix and Arizona, to provide an informal educational experience in rural areas and reach an audience much broader in scope and background than we had previously been able to reach,” said David White, director of DCDC and a senior sustainability scientist at ASU’s Julie Ann Wrigley Global Institute of Sustainability. As Cape Town, South Africa nears “Day Zero” when authorities turn off the taps — expected in the first half of April 2018 — Senior Sustainability Scientist Dave White expresses the pressing need to adapt urban water systems to stresses like climate change. White, who directs ASU's Decision Center for a Desert City, says that the causes of Cape Town's water crisis are familiar to water managers in water-scarce cities around the world – like Phoenix. 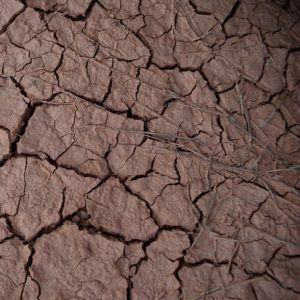 These include limited supplies, dramatic population growth, aging and inefficient infrastructure, persistent drought, inadequate reservoir storage and climate change impacts. Luckily, White provides a number of ways to improve water resilience. Among them are greater public engagement in water management planning and decision making, public and private investment in technology and infrastructure, rainwater harvesting, enhanced recycling and reuse of wastewater, cross-sector conservation and demand management, and development of new renewable supplies where feasible. One of the most pressing global challenges for sustainable development in the era of the Anthropocene is freshwater management. Water is a fundamental human necessity and essential to improve social equity, promote broad economic development and protect the functioning of the earth system. That’s why ASU’s Decision Center for a Desert City collaborated with scientists, managers, policymakers and other stakeholders in Pernambuco, Brazil – to build local capacity to manage existing and future water resources efficiently, sustainably and equitably. Together, the team developed modeling tools and a decision support system that prepares users for whatever water scenarios come their way. 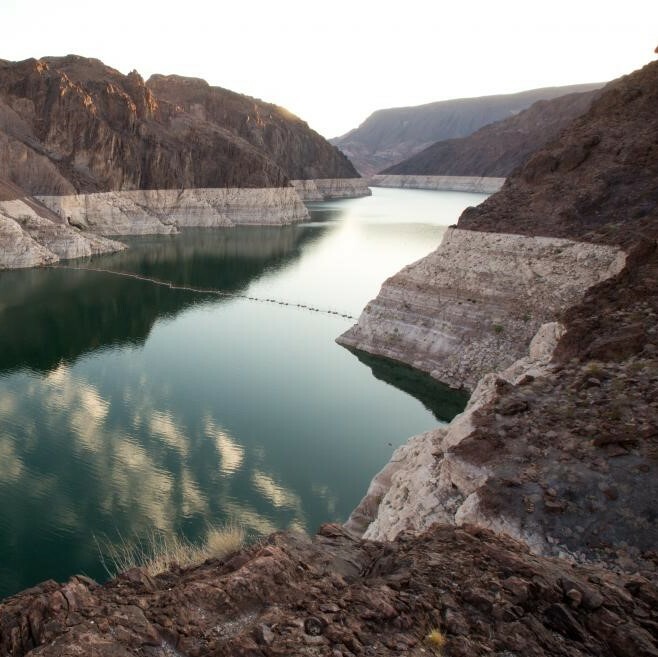 We’ve portioned out more of the Colorado River’s water than it can deliver. What now? 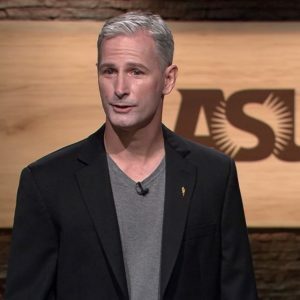 Senior Sustainability Scientist Dave White, who directs ASU's Decision Center for a Desert City, delivered his ideas for staying afloat in a March 2017 KED Talk. He demonstrated how the lessons he learned while rafting the Colorado River in 1998 are applicable to today's proverbial water rapids – namely drought, climate insecurity, population growth and overallocation. "The solutions to these problems will require courage, skilled and experienced leadership," says White, "....and the recognition that the vitality of the American West depends on everyone paddling together." In his January 2017 lecture "How Much Water Does Arizona Need?," author and journalist John Fleck drew from over two decades of reporting on western water issues to offer a surprising perspective on challenges unique to the region. Fleck, who serves as director of the water resources program at the University of New Mexico, explained how cooperation and innovation have enabled the Southwest to grow and prosper in the face of diminished water supplies – not conflict, as some believe. That rich communities take water from poor communities was another notion Fleck labeled as a myth, saying that ideas like these make it difficult to establish collaborative relationships. 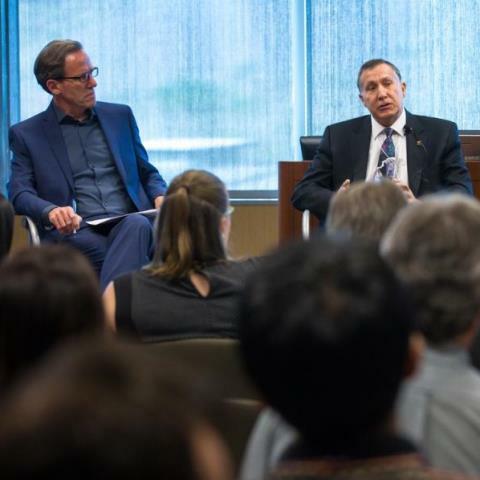 The lecture, co-sponsored by Decision Center for a Desert City, was part of an ongoing ASU conversation the examines water from a range of disciplines – from science and conservation to law and policy. The "Museum on Main Street," conceived by the Smithsonian Institution, brings exciting exhibits to small towns throughout the United States. Among these exhibits is WaterSim, an interactive water management tool developed by researchers at ASU's Decision Center for a Desert City. WaterSim achieves this by simulating the impacts of factors like population growth and drought on a given state's water supply and demand. Users then respond to challenges by selecting policies that steady their state’s water system. 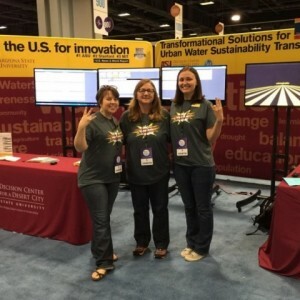 ASU's Decision Center for a Desert City was one of only 30 National Science Foundation-funded projects invited to represent the organization at the USA Science and Engineering Festival in Washington, D.C., from April 16-17, 2016. Visitors to the DCDC booth learned about water in the West through WaterSim – a simulation tool created by the center to estimate water supply and demand for the Phoenix Metropolitan Area. It allows users to explore how various factors like regional growth, drought, climate change and water management policies influence water sustainability. The festival – the largest and only national science festival, as well as the largest STEM education event in the United States – saw an estimated 350,000 visitors over the course of two days. “We have more interest, more data, and more planning tools than we’ve ever had." This was a sentiment expressed by James Eklund – director of the Colorado Water Conservation Board – at Decision Center for a Desert City's annual keynote on March 3, 2016. 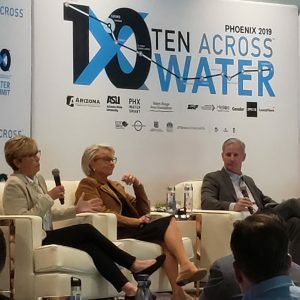 The discussion, titled "A Conversation about Solutions for Water Sustainability in the Colorado River Basin," also included Eklund's Arizona counterpart Tom Buschatzke – director of the Arizona Department of Water Resources. The two water chieftains, moderated by sustainability scientist Wellington “Duke” Reiter, explained that Arizona and Colorado have an ample water supply as the result of very careful planning and conservation. They stressed that this fact should not keep residents of the states from viewing water as the precious resource it is. 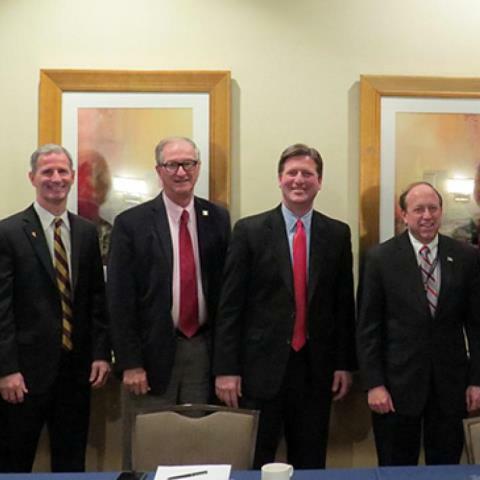 Alongside the January 2016 U.S. Conference of Mayors in Washington, D.C., leaders from Phoenix, Mesa, Los Angeles, San Francisco, and Aurora and Fort Collins, Colorado, met to discuss what actions their cities are taking to address urban water supply and demand issues in an era of changing climate. The “Western Mayors Water and Climate Change Summit” was hosted by Dave White – director of the ASU Wrigley Institute’s Decision Center for a Desert City – and Phoenix Mayor Greg Stanton. The mayors of participating cities covered topics like the role information technology will play in conserving water and the importance of educating the next generation of leaders in government, industry and environmental policy. “The idea of thinking about providing a secure, sustainable water supply for future generations is this notion of a public good that really crosses sectors — public, private, nonprofit — and requires us to train leaders in all of them,” White said. Building on the initial meeting, the group will evaluate a series of principles developed by Decision Center for a Desert City with the goal of refining, and ultimately moving toward, a consensus for implementation. A paper authored by Decision Center for a Desert City researchers, published today in the journal Sustainability, synthesizes a decade of water research in the Phoenix metropolitan area. Titled "Decision-Making under Uncertainty for Water Sustainability and Urban Climate Change Adaptation," the paper explores human–environment dynamics, gaps in knowledge and practice, social learning and the evolution of an interdisciplinary research and boundary organization, which has enhanced adaptive and sustainable governance in the face of complex system dynamics. "This research exemplifies the transdisciplinary approach advanced by ASU," says DCDC Director Dave White. "The knowledge generated here was developed by a team of social, behavioral, economic and sustainability scientists collaborating with biophysical scientists, engineers, a network of stakeholders and an internationally-recognized group of scientists and practitioners on our advisory committee." In addition to White, the paper was authored by sustainability scientists Kelli Larson, Pat Gober and Amber Wutich. 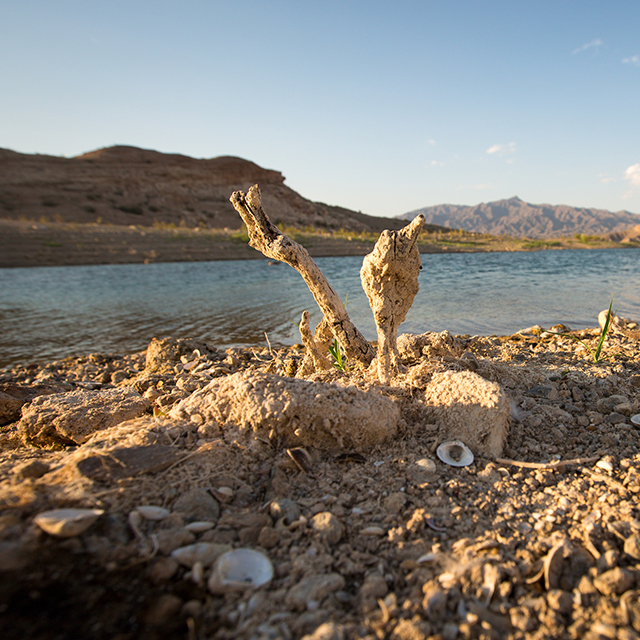 As uncertainty about water access in the West increases, the Decision Center for a Desert City at Arizona State University is connecting policymakers with research to make better resource management decisions for the future. The DCDC has been conducting climate and water research in the Phoenix metropolitan area since 2004. Now, thanks to a $4.5 million grant from the National Science Foundation — the third made to DCDC by the NSF since its founding — the DCDC will expand its work beyond Arizona to other cities dependent on the Colorado River Basin in Colorado, Nevada and California. The funding comes from the NSF’s Decision Making Under Uncertainty program. The DCDC and other groups receiving this funding aim to increase information available to decision-makers by developing analytic tools, facilitating interaction with researchers and bringing decision-makers together. “We’re a boundary organization,” says Ray Quay, director of stakeholder relations at DCDC. “We try to bring science into public policy.” In Phoenix, the DCDC does this in part through collaborative research. Using satellite imagery, DCDC helped the city better understand how changes in water demand over time are related to changes in land use. The DCDC will now work to identify similar opportunities in Las Vegas and Denver, the first cities that will benefit from the expansion. The DCDC also hosts “neutral convenings” in the Phoenix area where policymakers come together to discuss environmental concerns and solutions — topics that can ignite heated arguments in some places — and learn from one another in an uncharged space. For one such meeting, the DCDC brought together water managers from across the region with different viewpoints to discuss research and decision-making strategies about a potentially divisive issue: How should cities respond if an extended drought requires them to shift from using surface water to groundwater, what DCDC calls the “All Straws Sucking Scenario”? “Arizona water is highly regulated, and water utilities are uncomfortable being open in discussion when an agency that regulates them is part of the discussion,” says Quay. DCDC was perceived to be an unbiased host. Expanding into Denver and Las Vegas, the DCDC will conduct surveys of the general public and water managers to identify problems, areas where agencies feel they have answers to share and topics requiring regional discussion. One of the organization’s primary research and education tools is WaterSim 5.0, which estimates water supply and demand for Phoenix and the 32 cities in its metropolitan area. Users can control as many as 53 inputs, including river runoff, percentage of wastewater reclaimed, population growth, and per capita water use, and then see the impacts of these decisions on water supply, water demand, and a variety of sustainability indicators. David Sampson, WaterSim’s lead developer, says the tool was originally intended to help water providers with planning, but that the program isn’t yet perfectly suited for their needs. “The nice thing about WaterSim is that it’s an aggregate of all the cities,” says Sampson, “but the cities of course only work within their own [boundaries].” One goal with this round of NSF funding is to allow finer spatial parsing of WaterSim’s region, allowing water providers and managers to make finer-grain decisions. Sampson is also working to integrate a groundwater model that is based on supply rather than credits. At present, WaterSim is primarily a tool for education and outreach, and the DCDC has also created a less complex educational model, an online version that has just five inputs. WaterSim can be used “to tell stories,” says Quay, by leading members of the public and elected officials in a guided discussion using the interface. “One story might be that there is no silver bullet.” As people better understand the complexity of the system, supplies and management, they see that “there really is no one solution under the uncertainty of climate change and drought,” says Quay. Quay says it’s unclear how the DCDC will extend its modeling capacity to include other Colorado River Basin cities. It will depend on whether different regions will see a benefit, he says, and what types of modeling systems they already use. The DCDC is working to create more educational modeling tools, though. Sampson is developing a scaled-down water supply and demand simulation for a traveling Smithsonian exhibition that will visit all 50 states in the next five years. Sampson and the DCDC will create a model for every state, with elements that look at climate change and human use. 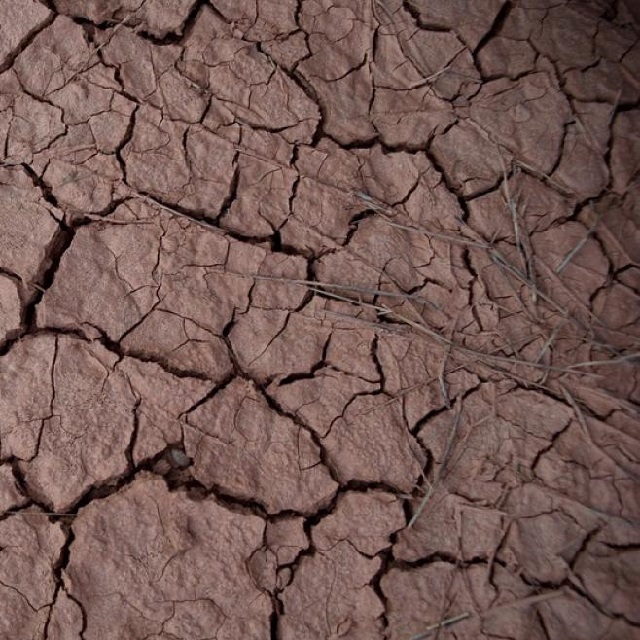 Farmers in arid central Arizona have always faced a formidable climatic challenge. 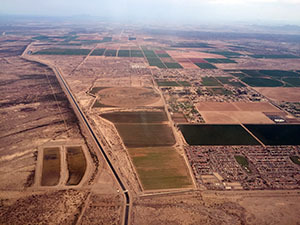 The region around Phoenix receives a scant fraction of the annual rainfall needed to irrigate traditional crops like alfalfa and cotton, and summertime high temperatures make it the hottest metropolitan area in the United States. Nevertheless, infrastructure improvements and policy have made both booming urban development and exceptional agricultural yields possible in the Phoenix area over the last few decades. These developments, however, have also buffered farmers from directly experiencing signals of climate change. Understanding how farmers and irrigation district managers use climate information has been a priority in research supported by the National Oceanic and Atmospheric Administration (NOAA) at Arizona State University, in collaboration with the University of Arizona Cooperative Extension Service. Irrigation district managers cannot rely solely on local forecasts for their decision making: some monitor stream gauges located on Colorado River tributaries more than a thousand stream-miles away. Many managers keep track of how policy decisions about reservoir management, energy production, and inter-sector water allocation may affect the quantity, quality, and cost of the water they access. An irrigation district manager explains, “We use NOAA, I use the ski reports a lot from Colorado because you can get all the averages and see what it’s done in the past week so you know if you’re gaining or losing snow.” In turn, these managers try to pass on this information to users, including farmers, whether through official channels or during informal meetings on ditch banks and in coffee shops. Improved information is only one part of the adaptation puzzle. Irrigation district managers are now thinking creatively about how to ensure that infrastructure is maintained to allow flexible adjustments between groundwater and surface water sources. During a water shortage, limitations on groundwater pumping capacity can be just as challenging as getting enough water for crops. Depending on the ownership and control of groundwater wells within a district, managers can strategize by running only the most efficient wells, ensuring that pumps in the same location aren’t running at the same time, and by making substitutions between local water allotments to keep operational costs even. Some are also engaging directly with water suppliers and utilities outside the region to ensure reliable and affordable access in the future. 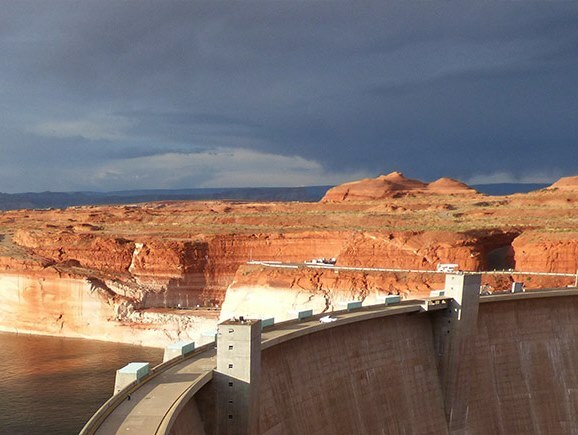 For the first time, in 2015, some central Arizona irrigation districts are volunteering to forgo a portion of their water allotment in the reservoir behind Hoover Dam as part of a multi-state experiment in extreme drought operations. Others have forgone groundwater pumping through water banking agreements. Urbanization, competition for water and land, and volatility in agricultural policy, as well as energy and commodity prices, challenge efforts to further innovate in water practices. While farmers hope to continue contributing to the rural economy, they worry that their long-term viability will depend as much on how state and city managers value their presence and resource needs as it does on their own capacities to proactively respond to rapidly changing water supplies. Farmers in this region come from a community shaped by generations of coping with extreme heat, and they are experiencing an extended drought. They are also literally losing ground to urban development. Many are apt to focus on what is familiar and near, depending upon strategies they have used in the past. For example, a third-generation farmer in the area explained, “The standing water table depth when my dad bought this farm was about 20 feet, and the last time we measured it was 25 feet to the water, so the depth to the water is very shallow. Right off the bat the thing that it tells you is that we are not pumping fossil water, it absolutely is rechargeable.” Farmers’ knowledge and experience comprise rich, site-specific detail, on a different scale and often with contrary implications compared to observations made by policymakers and researchers. Effective policy dialogs need to respectfully bridge these differences. The past success of efforts to secure and diversify water sources may have created new, more obscure, vulnerabilities and interdependencies. Like generations before them, farmers today are independent entrepreneurs. 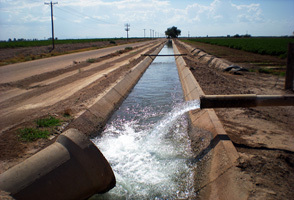 Nevertheless, the outcomes of individuals’ decisions have never been more contingent upon each other: from maintaining local irrigation ditches and district wells, to balancing demands from major interstate water and energy generation infrastructure, farmers are not only needing to collaborate with each other, but also with others representing urban, energy, and ecological interests in Arizona and in neighboring states. It will take a continuing effort by all interested parties in central Arizona to learn to accommodate uncertainties in water supply and tradeoffs in water use decisions into the future. Skaidra Smith-Heisters and Hallie Eakin, Arizona State University. Can empathy lead to better decisions in water usage? As the climate in the Southwest becomes hotter and drier, water will become an ever more precious resource, demanded by people with competing interests. Ranchers and farmers could see their livelihoods threatened by urban areas that scoop up more water as their populations swell. Shrinking lakes could mean fewer tourists and loss of jobs. So who wins? An Arizona State University team has received a three-year grant to study how people collaborate — or not — on the complex decision of who gets how much water, and how using technology might affect their reactions. Empathy is the crux of the study. The researchers want to see whether participants can be coaxed into relinquishing power for the greater good. The National Science Foundation awarded $449,000 to the interdisciplinary group in July. The scholars are from the School of Public Affairs, the W. P. Carey School of Business, the School of Social Work and the Decision Center for a Desert City. Erik Johnston, an associate professor in the School of Public Affairs and director of the Center for Policy Informatics, is the principal investigator. About 300 students have taken part in the study so far, he said, and about 500 more will participate over the next three years. They interact individually or on teams using computers, with the researchers changing different aspects of the role playing to see what promotes empathy. Each session takes about 90 minutes. “There are a lot of values at play all the time, which is the heart of governance,” Johnston said. The digital platform that delivers the interactive modules was created by Johnston and Ajay Vinze, associate dean for international programs at the W. P. Carey School of Business. Vinze, who studies the role of technology in human interaction, is a co-principal investigator for the study and also associate vice provost for graduate education at ASU. They then paired their platform with the WaterSim estimator tool created by the Decision Center for a Desert City (DCDC), which set the stage for this work. “We created a mobile version of WaterSim that uses their underlying logic and their scientific reasoning behind it. When people are allocated water choices, the consequences they see have been scientifically derived from the research at DCDC,” Johnston said. Empathy is measured at the beginning and end of the sessions using a survey developed by Elizabeth Segal, a professor in the School of Social Work and another co-principal investigator. Vinze said that the interplay of empathy and technology is key. “Empathy is not a new concept, but the notion of ‘how does empathy change if I look through the lens of technology?’ is new,” he said. The study participants play differing roles. For example, subjects might be a big city negotiating with a small city, with different levels of political clout. The game poses various scenarios for water usage, considering effects on variables such as jobs, sustainability, food scarcity and quality of life. “When the undergrads played, they got rid of all the pools. But they don’t look at the misery aspect of that,” Johnston said.